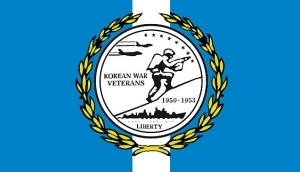 Details: 3'x5' polyester flag with a white header and two grommets. Four rows of stitches on the fly and two rows on the top, bottom, and header side. The image is screen printed and appears on both sides. Y Ddraig Goch - "The Red Dragon." 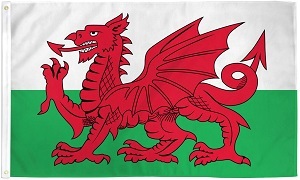 Adopted as the National flag of Wales in 1950. The red dragon is believed to have been used by King Arthur and inspired by Roman gold dragon standards. The dragon was a popular symbol among both the native Britons and the invading Saxons during the dark ages. The Saxon kingdom of Wessex, south of Wales, adopted a gold dragon on a red background a sits standard in the 6th century.